One of the ingredients that you will stumble upon quite often in asian beauty industry is Centella asiatica extract. Especially its wound-healing capabilities have made it very popular in skin care. 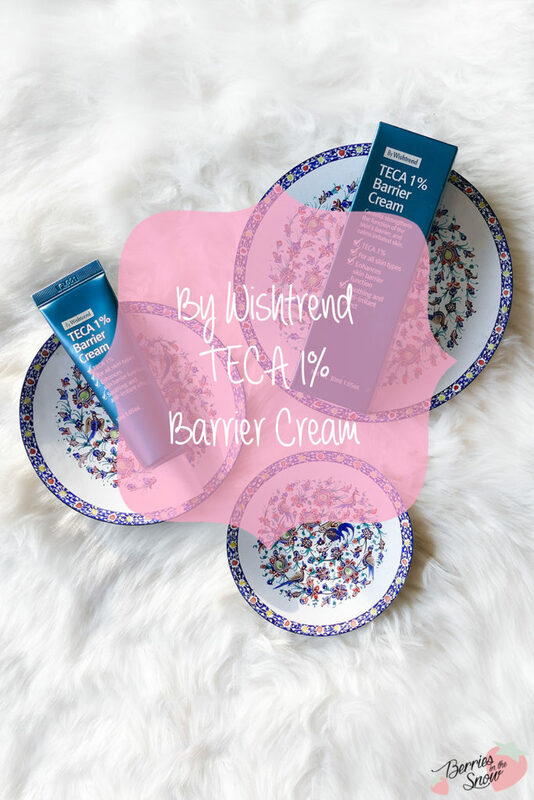 One of the newer products from Wishtrend is the By Wishtrend TECA 1% Barrier Cream, containing Centella asiatica extract as key ingredient, and kindly, they send me their product for testing and reviewing. Probably, you know that Wishtrend does not only sell other Korean brands but also has a step in the beauty industry itself. Apart from known brand names Klairs or Jungle Botanics they also have products named under the brand “By Wishtrend”. Well-known products from By Wishtrend are the Vitamin C 21.5 Advanced Serum, Natural Vitamin 21.5 Enhancing Vitamin Mask, the Green Tea & Enzyme Powder Wash, and the Mandelic Acid 5% Skin Prep Water. I reviewed the last two products not long ago. 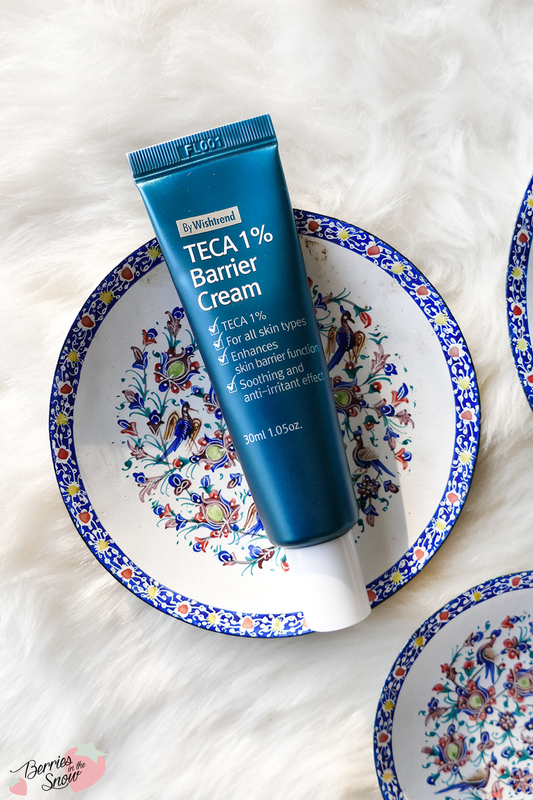 The latest addition to the By Wishtrend product family is the By Wishtrend TECA 1% Barrier Cream. 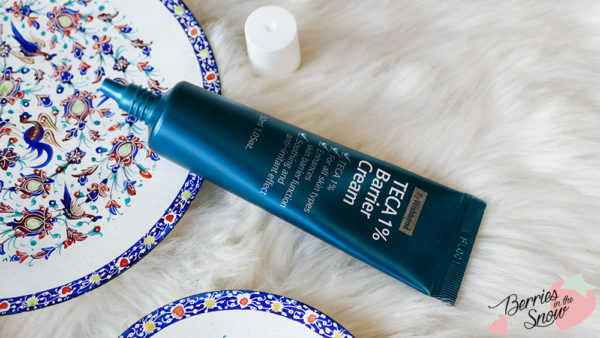 By Wishtrend Teca 1% Barrier Cream is a spot treatment cream that creates a protective layer to keep moisture and active ingredients within the skin while strengthening, calming, and improving the skin’s overall health with help of Centella asiatica. Although it is designed as spot treatment, I personally use it on my whole face when I feel that it is irritated. You can check for the ingredients on SkinCarisma. Centella asiatica extracts have been used in traditional medicine and are still used today, having beneficial properties like wound-healing. Scientific studies have shown that continuous application of the extract can promote collagen building, act anti-inflammatory, and anti-oxidative. The purified extract of Centella asiatica is called TECA. It is a standardized extract composed of Asiaticoside, Asiatic acid and Madecassic acid. It is used in skin care targeting wound-healing, scarred skin, sensitive skin, but also seems to be effective on cellulite. Besides Centella asiatica the cream also contains allantoin, which is soothing and skin protecting. And you will also spot silicons. 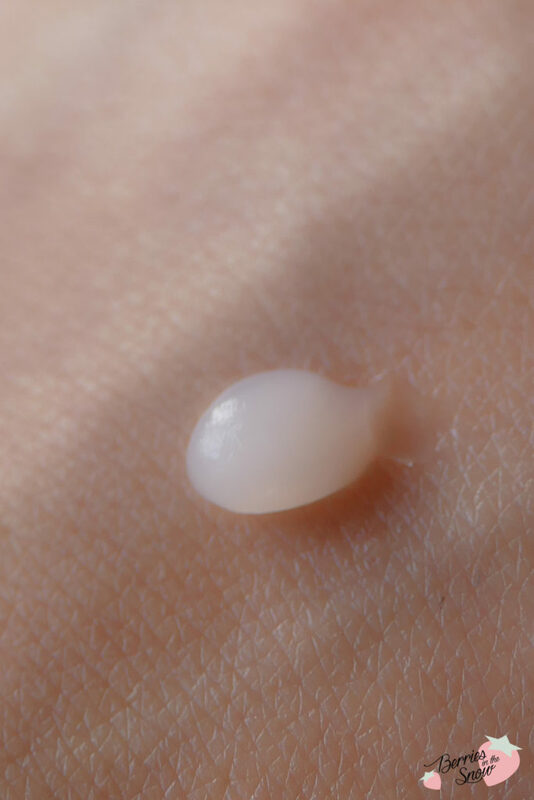 Since it is a barrier cream, the silicons will help to form a barrier and reduce the loss of moisture of the skin. It is important to apply this cream as last step though, because it will also prevent other skin care steps to penetrate through the barrier. I personally love to use this cream on my full face as last step when it is irritated. I discovered that it always helped a lot with redness and reduced them after a few hours. 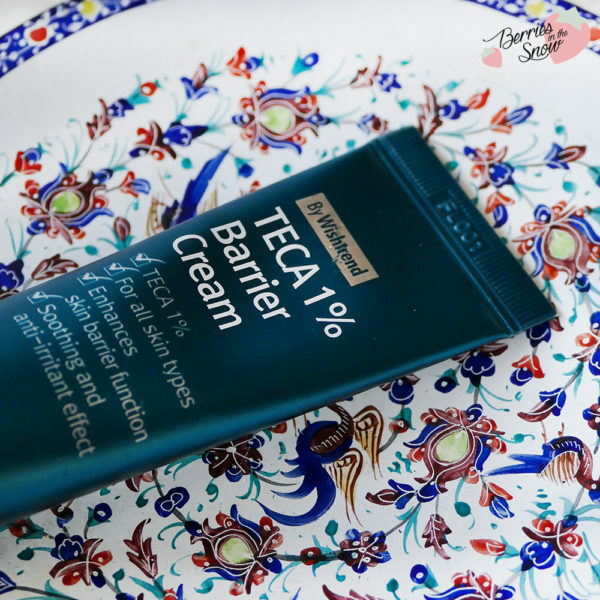 The TECA Barrier Cream has a balm type consistency and no scent at all. It even doesn’t have that specific non-scented cosmetics scent, which can be sometimes strange. It absorbs quickly, has a cooling touch, and doesn’t leave a sticky feeling nor any greasiness. I’ve already used up 3/4 of the cream and you can guess that I enjoyed using it a lot. 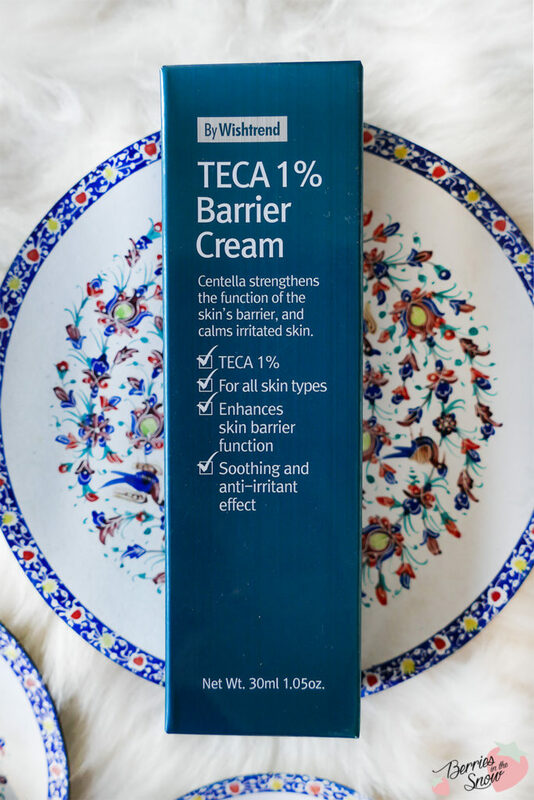 Especially, when I have the feeling that my skin is starting to feel irritated or redness is appearing I apply this cream at last step over my skin. I also didn’t have any problems to use it during daytime and apply makeup over it. It is really a nice barrier cream and works out great for my skin! If you are curious about the By Wishtrend TECA 1% it retails for 27.50 US$ at Wishtrend. Keep in mind the friend-referral program from Wishtrend: You can receive a 5 Us$ referral coupon if you use my invitation code 17939205 upon registration and you’ll receive this voucher immediately. There will be a specific field in your registration form called “friends invitation program” where you can put the code mentioned above. This way new customers can safe 5 US$ which is a great possibility to safe some money. Also, Wishtrend has a Free-Shipping Area, where you can find products that can be bought with free shipping. You can find the current Wishtrend Coupons on my page for Coupons & Discounts. 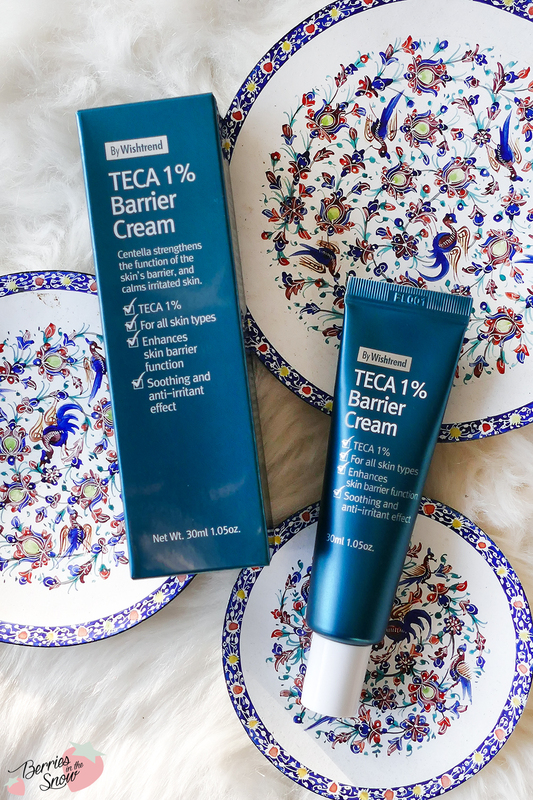 What is your impression of the By Wishtrend TECA 1% Barrier Cream? 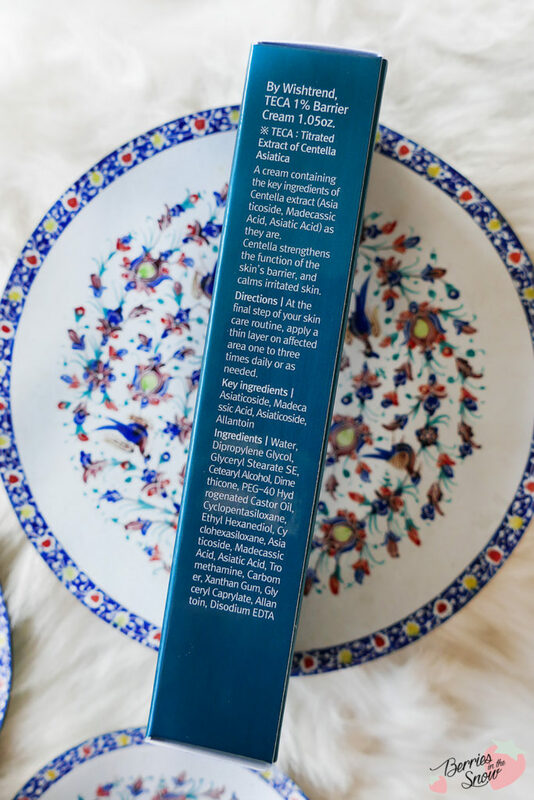 Are you using any products containing Centella asiatica?